Come see our beautiful selection of new Toyota Land Cruiser models near Dover, NH. These elegant and practical SUVs have plenty of convenient features, excellent safety ratings and offer both driver and passengers ample legroom and storage space. Our complete new and used Toyota inventory can be seen online, browse MSRP, vehicle details and trim options to find the perfect Land Cruiser. 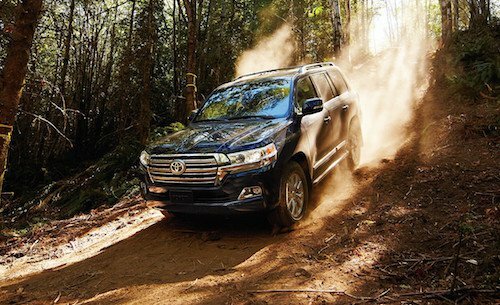 Certified Pre-owned Land Cruiser models are frequently available so be sure to check our used car inventory for a full list of available models. For convenient Toyota financing and leasing our auto finance team is here to explain your options for buying or leasing a new Land Cruiser or financing a used vehicle. We can also help you find dealer specials and factory incentives that will reduce your costs and monthly payments. If you have any questions or would like to test drive a Toyota Land Cruiser near Dover, New Hampshire please feel free to contact us.